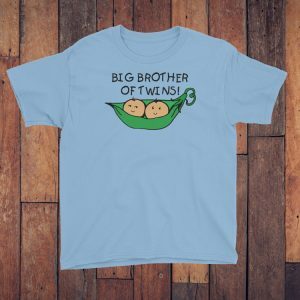 Cute shirts for big brothers and big sisters of twins. Contact us if you would like one of our designs on a different shirt type. We can also create a custom design just for you!